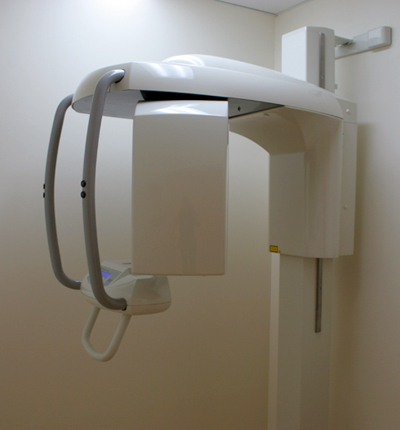 An Orthopantomogram (OPG) or Dental Panoramic Radiograph (DPR), also known as a "panorex", is a panoramic scanning dental X-ray of the upper and lower jaw. It shows a two-dimensional view of a half-circle from ear to ear. An OPG relies on tomography i.e. images of specific radiographic planes are taken to make up the larger panoramic image.